We follow the flight of a sparrow across awonderful, wintery world in blur's Fable II intro cinematic. Here's a view of the city commons, where townfolk and visitors alike can graze their livestock. Note the chunk of old world masonry in the lower left The milkmaid has a long way to haul those buckets! 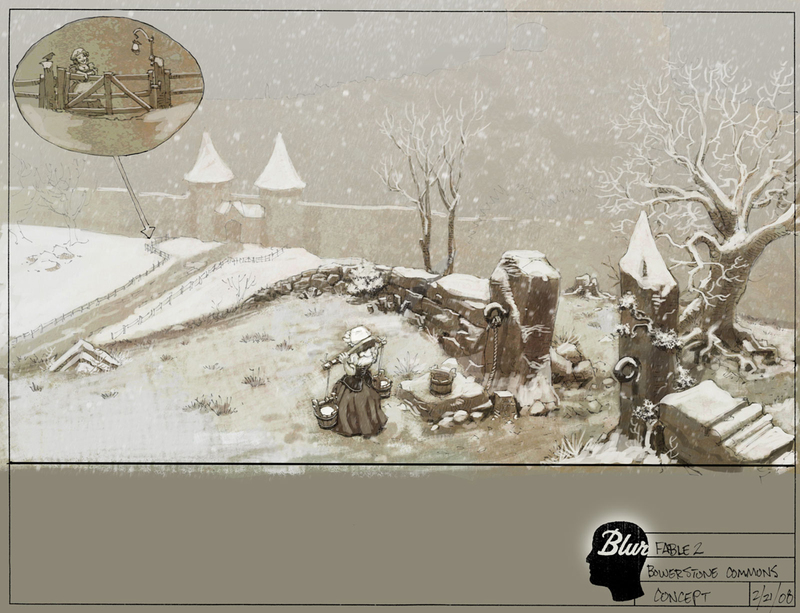 In-game elements provided inspiration for the scene.